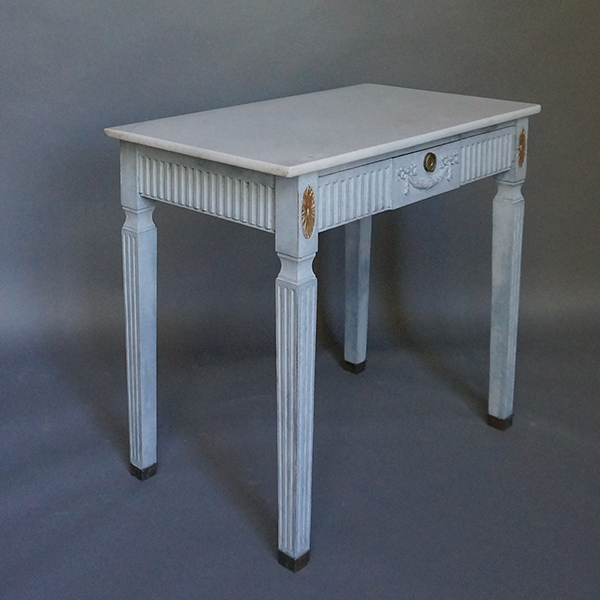 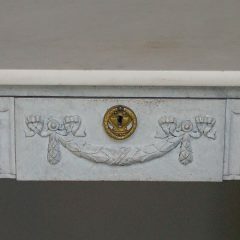 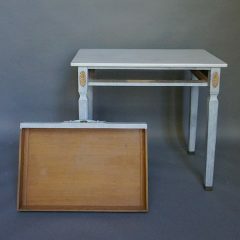 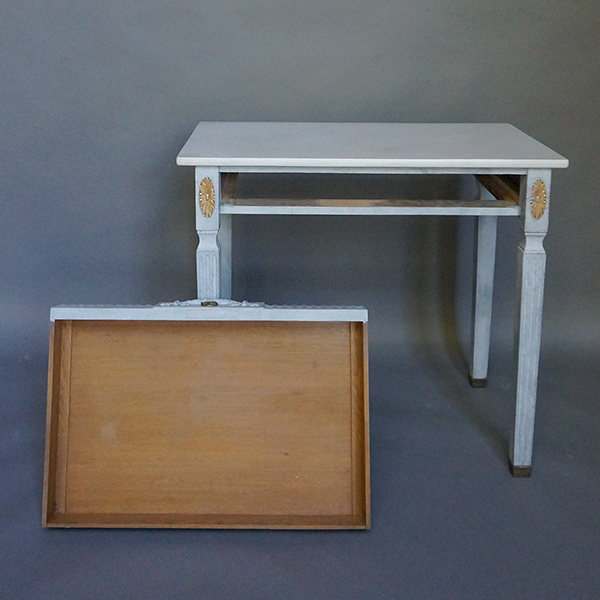 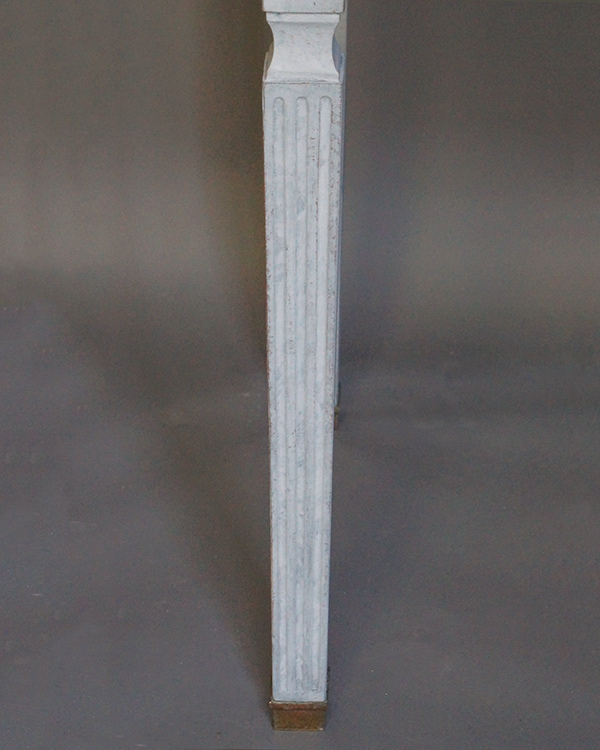 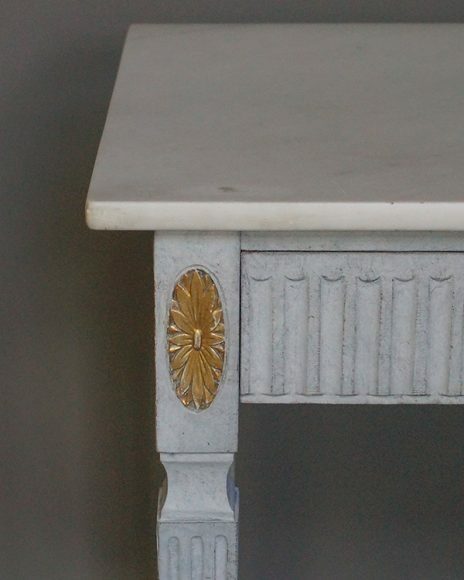 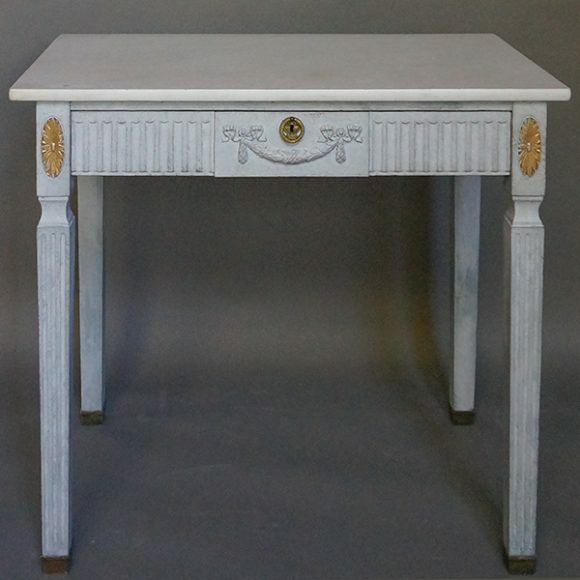 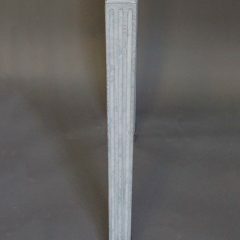 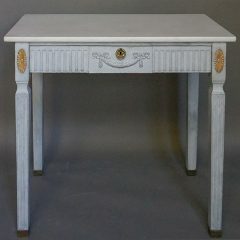 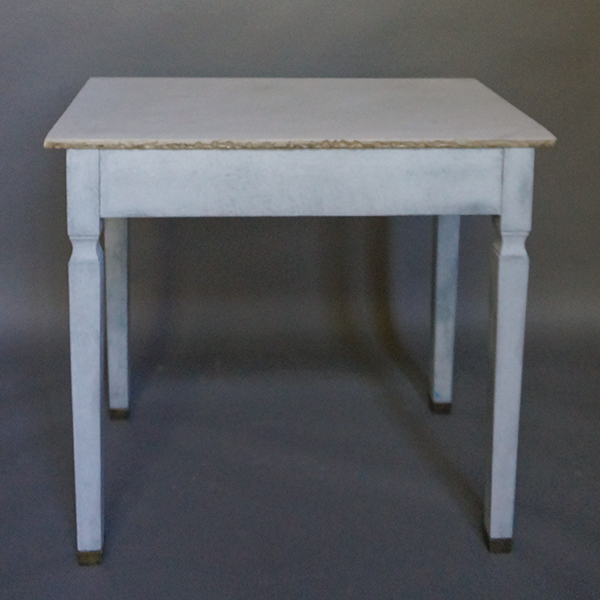 Gustavian style side table, Sweden circa 1890, with white marble top. 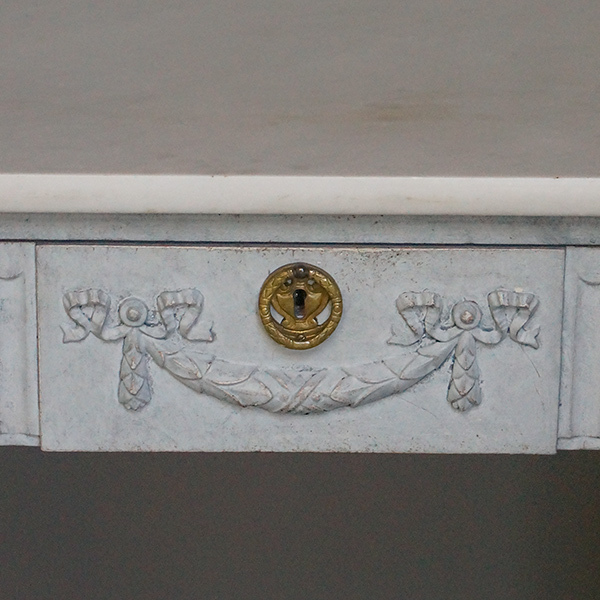 The full width drawer has a center panel with a ribboned swag between fluting which continues around both sides. 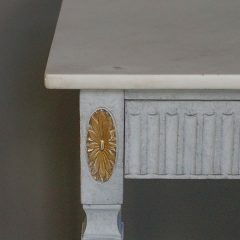 The square legs have vertical fluting and gilt sunbursts at the top.